In the 1800s, the small town of Rollinsford was comprised of two distinct communities: the industrial mill village of Salmon Falls, largely populated by recent immigrants, and the outlying farms worked by old Yankee families. Mill and Farm: The Two Faces of a New England Town, a new exhibit at the Colonel Paul Wentworth House, illustrates these two different aspects of life in the town in the 19thand early 20thcenturies. Through the stories of individual families and through objects such as tools, account books, school records, dance cards, and photographs, the exhibit compares and contrasts the lives of Rollinsford’s farmers and mill workers. Many of the objects are on loan from private collections and have not been previously exhibited. The exhibit is open to visitors from 1 to 4 pm on Sundays until mid-October. Admission to the house and the exhibit is $5; free for ARCH members and children under 16. Additionally, throughout the month of August, admission is free for all Rollinsford residents. 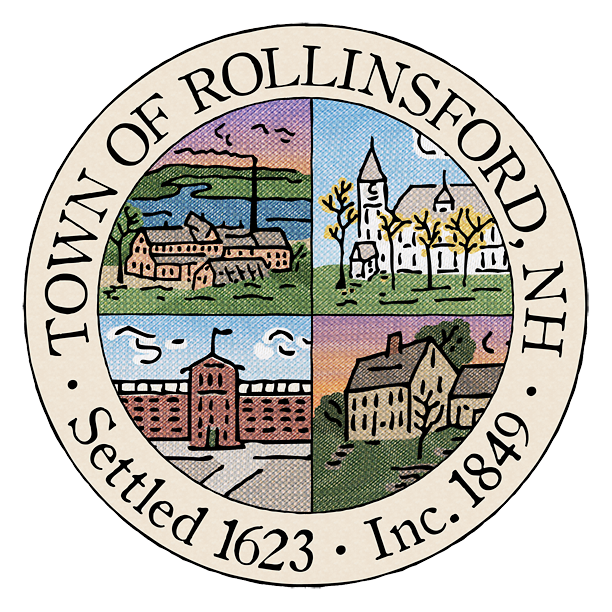 The Town of Rollinsford has several important boards, commission and committees peopled by interested and engaged volunteers who wish to serve the community. If you are itching to become an interested and engaged public servant, please consider volunteering for one of the groups listed below by sending an email or by calling town hall. (An asterisk signifies that there are no openings today but if you are interested we’d still like to hear from you so that we can keep you name on file). If you would like to know more about a particular group, feel free to contact a Board member or Caroline Kendall our administrative assistant. Please let us know by Monday, March 26th. We look forward to hearing from you!